Lately a lot of women are having sprinkles for their second babies (a mini shower!) We love this idea and put together an inspiration board for a very literal take on the idea. 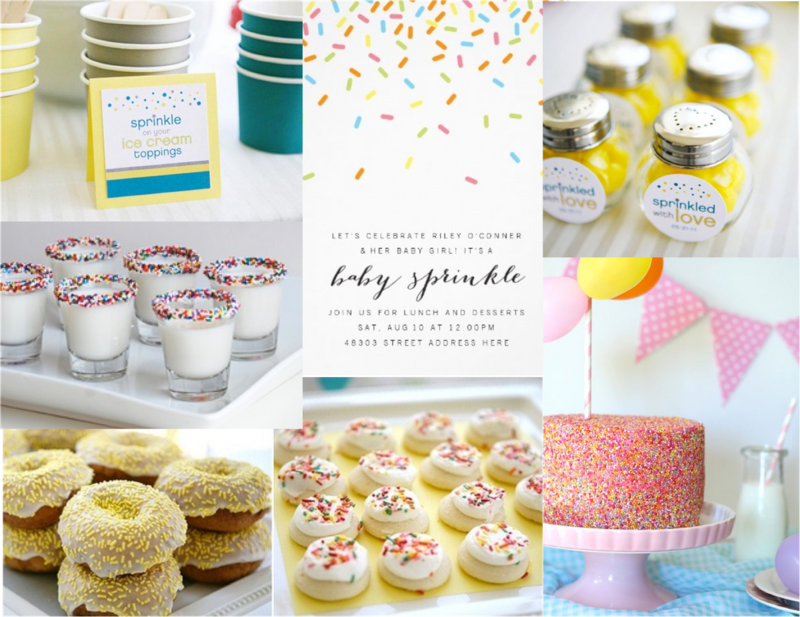 From donuts and ice cream sundae bars to favors in salt shakers, there are so many ways to take on the word sprinkle!